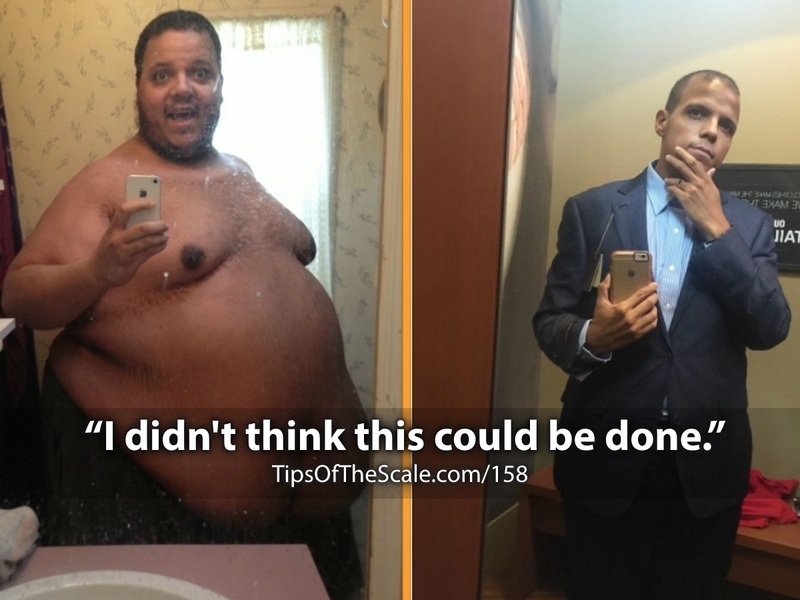 Jesse was almost 700 pounds (318 kg), unable to shower indoors, and had “given up on life”. Hear how he turned things around has has dropped almost 400 pounds (181 kg) so far. How Jesse had built an online persona to escape the reality of life. In the past, he had tried to do too much, too fast, relying on motivation that inevitably puttered out. The “flailing” physical activity Jesse started with, even though he could only stand for 30 seconds at a time. Jesse enjoys house music with a great beat.